It was Kanehiro Takaki, surgeon general of the Japanese navy back in 1884 that figured something was amiss. Sailors were dying on his ships from a disease called Beriberi. And Takaki surmised it had something to do with sailors eating only white rice. It wasn’t until 1897 that Christiaan Eijkman, a military doctor in the Dutch East Indies figured out that the bran removed from white rice was causing problems. Something was missing in the diet. In Japan, it was found that insufficient thiamine led to a central nervous system disorder called Beriberi. But supplementing with thiamine alone didn’t help because of its poor bioavailability. A lot of thiamine was needed to cure Beriberi symptoms. So Japanese scientists created a derivative of Vitamin B1 called Sulbutiamine in an attempt to quell the health crisis within the Japanese population. Advanced neurohackers add Sulbutiamine to their stack instead of standard Vitamin B1 (thiamine) because it’s better absorbed and used by your brain than B1. 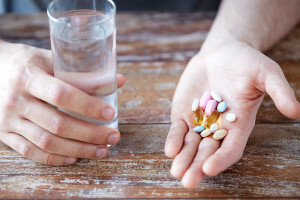 Thiamine vs. Sulbutiamine: What’s the Difference? 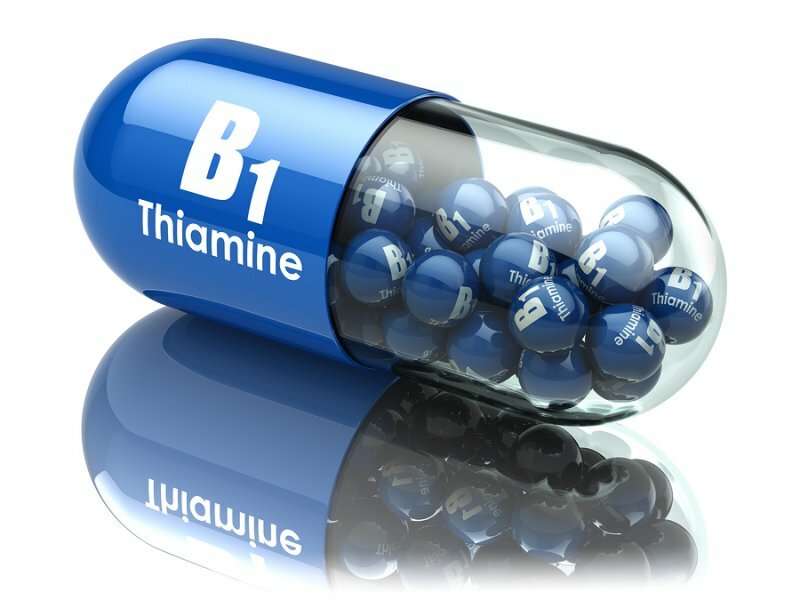 How does Vitamin B1 (Thiamine) work in the Brain? How does Vitamin B1 (Thiamine) feel? Vitamin B1 (Thiamine) is the first of the B-Complex vitamins identified. And designated B1 as a result. 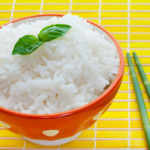 Japanese researchers were the first to determine that something was missing in the diet of those who ate only polished rice. 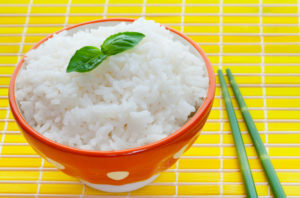 Polished rice is one of the first “processed foods”. And of course there were problems right from the start. The bran coating on rice kernels contained what was later identified as thiamine (Vitamin B1). The Japanese population were severely thiamine-deficient from this rice-only diet. Large numbers of the population were suffering from Beriberi. A central nervous system disorder caused by a lack of thiamine. Once scientists determined it was thiamine that was behind a major, country-wide health crisis, they went on to develop Sulbutiamine. It was better absorbed by the brain than standard thiamine. 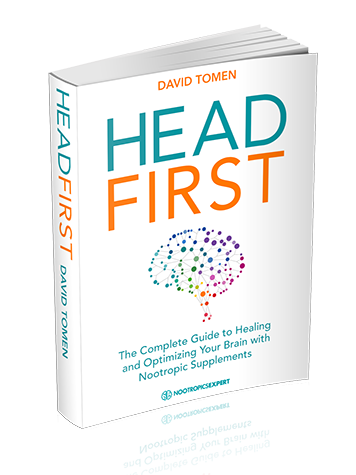 But thiamine has poor bioavailability when taken as a nootropic supplement. A derivative of thiamine called Sulbutiamine is a fat-soluble compound that is easily digested. And readily crosses the blood-brain barrier. Vitamin B1 (Thiamine) boosts brain health and function in several ways. But two in particular stand out. Thiamine increases levels of thiamine pyrophosphate (TPP). TPP is directly involved in the citric acid (KREB) cycle in the brain. A deficiency of TPP can eventually show up as Wernicke encephalopathy and Korsakoff syndrome. In our society this syndrome is typically caused by chronic alcoholism. But it can also occur after obesity (bariatric) surgery, Crohn’s disease, anorexia, diabetes, and if you’re on kidney dialysis. The citric acid (KREB) cycle and enzyme α–KGDH play a role in maintaining optimal levels of the neurotransmitters glutamate, and gamma–aminobutyric acid (GABA). Thiamine deficiency can be caused by alcoholism, Alzheimer’s Disease, anemia, athletes who reduce food intake, cancer, clogged arteries, Crohn’s disease, diabetes, diarrhea, gastric bypass surgery and kidney disease. And even a poor diet. Several foods are also considered “anti-thiamine factors” (ATF) and contribute to the risk of thiamine deficiency in otherwise healthy people. Certain plants contain ATF, which react with thiamine to form an oxidized, inactive product. ATF include mycotoxins (molds) that break thiamine down in the blood. If you eat certain raw, fresh-water fish, raw shellfish and ferns you are at a greater risk of thiamine deficiency. [vi] Thiamine is also inactivated by cooking food. Thiamine is a cofactor of several enzymes including transketolase, pyruvate dehydrogenase, and alpha-ketoglutarate dehydrogenase. Thiamine deficiency decreases cerebral glucose utilization which results in mitochondrial damage. Scientists have seen through the electron microscope; disintegrating mitochondria, chromatin clumping, and swelling of degenerating neurons. Yikes! Thiamine supplementation can help nearly every active adult, as well as a student looking to do better in school. By boosting acetylcholine, glutamate and GABA in the brain. 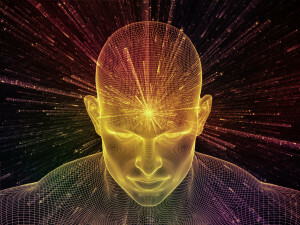 Providing increased brain energy by fueling cell mitochondria with ATP. And building myelin sheaths that protect our neurons. Thiamine occurs in your body as free thiamine and as various phosphorylated forms: thiamine monophosphate (TMP), thiamine triphosphate (TTP), and thiamine pyrophosphate (TPP), which is also known as thiamine diphosphate. The synthesis of TPP from free thiamine requires magnesium, adenosine triphosphate (ATP), and the enzyme thiamine pyrophosphokinase. TPP is required for the metabolism of carbohydrates and branched-chain amino acids. Thiamine will boost cognition, memory and decision-making. And provides very effective anxiolytic (anti-depressant) qualities. If you are perfectly healthy and don’t have a thiamine deficiency, you’ll likely not feel anything after supplementing with thiamine. But I’ve come across study after study, and reports on forums, where lab tests showed thiamine and thiamine pyrophosphate within range. And yet people were dealing with “mild thiamine deficiency”. The problem is “mild thiamine deficiency” can turn your world upside down. If you are hypothyroid or dealing with Hashimoto’s there is a very good chance you would benefit from thiamine supplementation. Same with diabetes, fibromyalgia and inflammatory bowel disease. Neurohackers report that supplementing with thiamine is an effective mosquito repellent. Many report thiamine supplementation boosts attention, energy, and motivation. A reduction in brain fog and increased mental clarity with less anxiety. Most of the research conducted on Vitamin B1 (Thiamine) has been with people dealing with fatigue or pain associated with fibromyalgia, thyroid disease and other debilitating conditions. And most have very few participants. But the results in every trial I’ve reviewed are profound. If you’ve ever had to deal with fibromyalgia, you are familiar with the hell of living with chronic pain, fatigue, insomnia and more. Some studies suggest that many of the symptoms of fibromyalgia could be related to mild thiamine deficiency due to a dysfunction of the active transport of thiamine from blood to the mitochondria. If you deal with chronic fatigue, Thiamine may be a better option than another cup of coffee. Or a stimulant. Researchers in Italy noted that previous studies on fatigue and related disorders like inflammatory bowel disease improved after therapy with high-dose thiamine. The team chose 3 stroke patients who also experienced fatigue. Severity of fatigue was assessed using the Fatigue Severity Scale. Note that lab tests showed free thiamine and thiamine pyrophosphate levels were within the healthy reference range in all the patients. High-dose thiamine therapy was started. And resulted in a significant decrease in fatigue. Researchers in Italy hypothesized that the chronic fatigue accompanying inflammatory and autoimmune diseases is a clinical manifestation of mild thiamine deficiency. Hashimoto’s thyroiditis is both an autoimmune disease and cause of hypothyroidism. In this study, 3 Hashimoto’s patients complaining of chronic fatigue were recruited. The recommended dosage of Vitamin B1 (Thiamine) according to the American FDA is 1.2 mg per day. Pregnant and breastfeeding women is a whopping 1.4 mg per day. Many neurohackers would laugh at these recommendations. “Mild thiamine deficiency” affects a significant segment of the population in any country. Most clinical studies use thiamine doses from 300 up to 1800 mg per day. The bottom-line is thiamine dosing is completely up to you. No side effects are reported even at higher doses. Some natural health clinics offer (expensive) thiamine therapy intravenously (IV) and doses are usually 25 – 50 mg per session. Vitamin B1 (Thiamine) is non-toxic. So is considered well-tolerated and safe. Side effects are rare but very high doses can include stomach upset. If you are taking Digoxin, diuretics or Dilantin you should consult your doctor before supplementing with thiamine. Thiamine hydrochloride (HCl): Most Vitamin B1 (Thiamine) supplements available from online retailers and vitamin shops come as Thiamine hydrochloride (HCl). And come in 50 – 500 mg tablets. 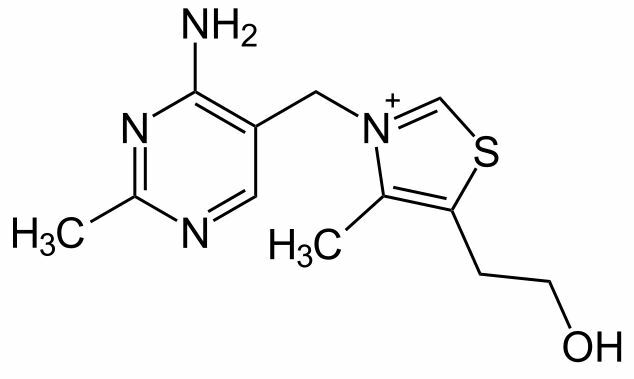 Benfotiamine (S-benzoylthiamine O-monophosphate) is a synthetic S-acyl derivative of thiamine. This fat-soluble form of thiamine is much more bioavailable than HCI. Benfotiamine typically comes in 150 – 250 mg capsules. Dosage is up to 900 mg per day. TTFD is a form of thiamine that is water-soluble, and much more difficult to find in vitamin shops. Brand names include Lipothiamine, Allithiamane, Adventan, Alinamin-F, Benlipoid, Bevitol Lipophil, Judolor. TTFD comes in 50 mg capsules. And the primary side effect is you smell like garlic after taking it. Sulbutiamine: Sulbutiamine is our preferred form of Vitamin B1 (Thiamine) for cognitive enhancement. Sulbutiamine is sold in tablet, capsule and powder form. Tablets and capsules are usually 750 mg each. 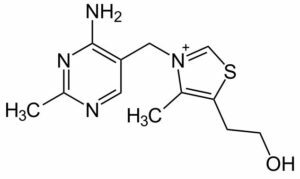 Sulbutiamine is a synthetic version of thiamine (two thiamine molecules bound together). It’s sold as a prescription medication in some countries under the brain names Arcalion, Enerion, Bisibuthiamine, and Youvitan. Multivitamins: Most multivitamins also include some form of Vitamin B1 in their formula. But many of these multis don’t contain enough for optimum health. And many have an inferior isolated or synthetic version of the nutrient. The Performance Lab® Whole-Food Multi offers a nature-identical form of Vitamin B1 (thiamine) and is now my favorite daily multivitamin/mineral supplement. 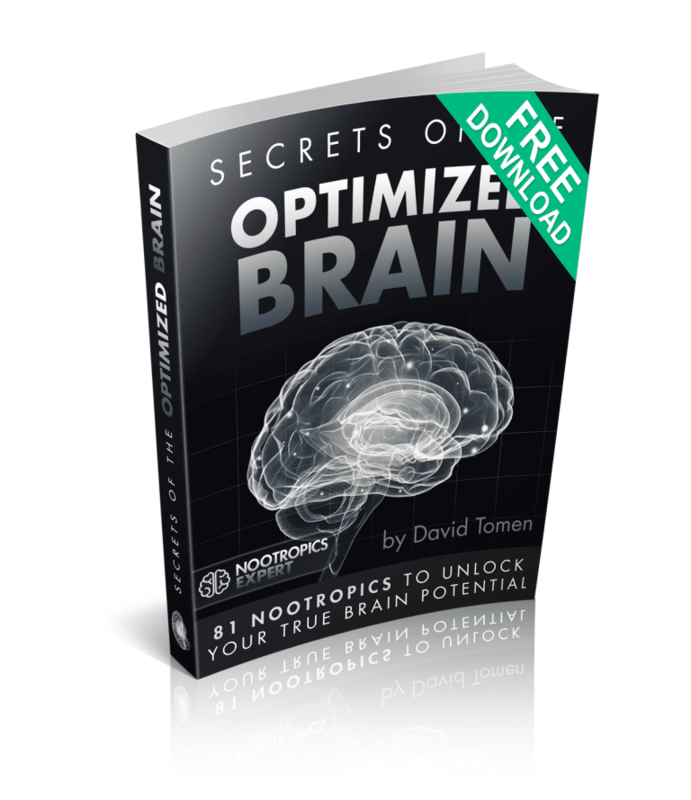 We recommend using Vitamin B1 (Thiamine) as a nootropic supplement. Your body does not make thiamine on its own. So to get its benefits you must get it from food, or take it as a supplement. Vitamin B1 is especially helpful for those suffering from low energy levels, anxiety, depression, and chronic pain. Experience shows thiamine helps stop and reverse the symptoms associated with fatigue. Likely because this nootropic helps boost the activity of acetylcholine, GABA and glutamate in the brain. Thiamine is also a very effective mosquito repellent. I live in SE Florida where we’re currently under a Zika scare. But I do not experience problems with mosquitoes. Likely because of adequate thiamine levels in my body. Personally, I’ve found Sulbutiamine to be much better for cognition than standard thiamine. And more effective (and safer) than any prescription anti-depressant I’ve ever tried. Vitamin B1 can produce a noticeable increase in mental clarity. And give you a significant energy boost physically and mentally. You’ll feel more awake and alert. Without the side effects you’d get from stimulants like caffeine. Vitamin B1 is a must have addition for any nootropic stack. If you are using any of the racetams like Piracetam and Aniracetam you may want to consider adding Sulbutiamine as well. 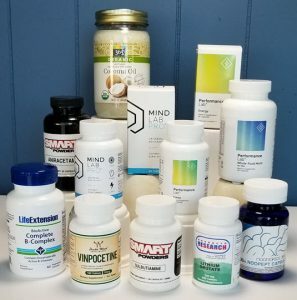 At the very minimum every neurohacker should be using a multivitamin every day that includes Vitamin B1 (thiamine). The best multi I’ve found and use every day is the Performance Lab® Whole-Food Multi for men or women. A very detailed account of a vitamin that is underestimated. I have battled Sarcoidosis and unrelated symptoms tripping over non-existent things on a smooth floor which reminds me of my mother’s MS which I knew of from my childhood. I was taking B1 for those symptoms and started mega dosing I am now on 1500mg per day. You have confirmed my suspicions that I needed vast quantities of Magnesium and I have started into Magnesium Citrate 2700mg over a day to alleviate systems such as calf cramps. However most astonishing is the renewed energy it seems for all intents unlimited, clear head, sharp vision, alleviation of frequent diarrhea and better bladder control. Thank you David for sharing this valuable knowledge. I have a cataract in my right eye and I think that B1 would help in dissolving the crystals that are part of the cataract but I am not sure if water soluble or fat soluble would be best or am I going down the wrong road to help my problem? Thomas, you need to find the cause of what is causing your issues before anything. And I mean dig and dig and until you find out what is going on. For example, my issue is Adult ADD, PTSD and I’m hypothyroid. I know the cause of some of these issues which helps me better understand what I need to do to repair stuff from the bottom up. You may even need to get tested for things like viruses, bacteria, mold, heavy metals, etc. The symptoms you describe sounds a little like what Dave Asprey finally determined was environmental mold shutting down his body. And one of the first things he did was to get out of the mold environment. If you can’t figure this out on your own then I suggest you search for a naturopath or integrated medicine doctor who can help. Look up Bulletproof Labs and see if you can talk to someone there. Please keep at this until you get to the bottom of what’s going on with your body and brain.